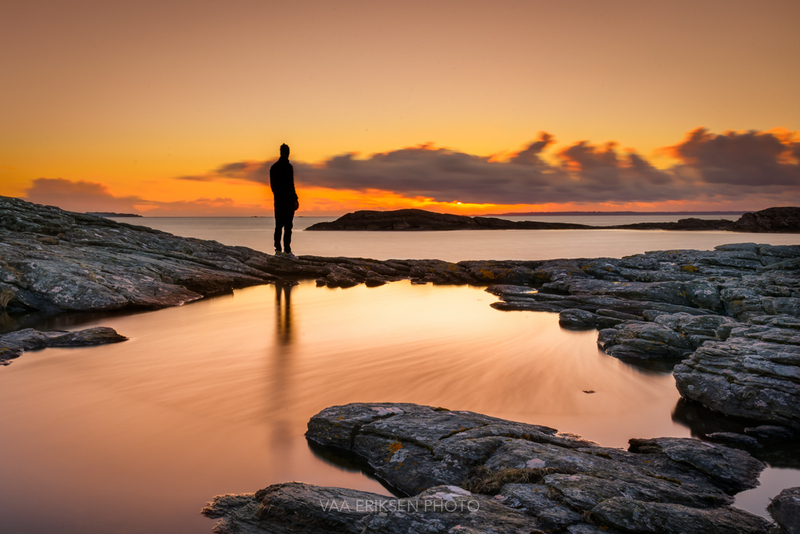 This entry was tagged Norway, Photography, Rogaland, Sunset. Bookmark the permalink. So beautiful! I esp like the idea of cooking pancakes with this spectacular backdrop. Thank you so much Pete! This is such a lovely spot. When you look out here you look out at the large North Sea. Lovely! And you got your model to stand still for 30 seconds no less! Marvelous, an amazing picture Inger. What an eye you have! This is a perfect image. Spectacular! Pancakes on the fire sound good too! Now that’s just brilliant. Beeeeyoooooteeeeful tones! I dunno why, but maybe the heavens must be looking like this. Wonderfully clicked. So beautiful and fulfilling feeling. Love when the water looks like glass and blends with the sand almost seamlessly! …it is balanced so well, that it as something very harmonious. Wonderful! Could launch a lot of stories. Wow – I love love that caramel light. I like how the figure looks like a giant towering over the sea. WONDERFUL capture by you and job by your model for standing so still for 30 seconds. I love it! Very rich colours and textures! You must have used a tripod for the 30 sec. exposure so that you get maximum depth of focus as well as high quality ISO. Very well done! I haven’t done much with tripod, but I plan to get a ND10 filter and do some log exposures on waterfalls, oceans and rivers this summer.